2019 Dodge Grand Caravan Review | Specs & Features | Gillette WY " "
What’s the Price for the 2019 Dodge Grand Caravan? How Many MPG Does the 2019 Dodge Grand Caravan Get? What’s New for the 2019 Dodge Grand Caravan? The Dodge Grand Caravan is a vehicle that has been on the market since the year 1983. It has remained a very simple and reliable vehicle over the years. While some drastic design changes have occurred at different points during its manufacture, the Dodge Grand Caravan has really stayed with its original concept. There are other minivans that have come and go from the market. The Grand Caravan has the longevity that you won’t find with any other vehicle. Only three trim levels are available for the Grand Caravan. This includes the SE, SE Plus and the SXT. The perfect vehicle for a family, or someone in need of a spacious vehicle, you’ll want to stop down to White’s Energy Motors to take a closer look at the 2019 model of this vehicle. There are a few minor changes that are present in the 2019 Dodge Grand Caravan. The engine is now a V6, six-speed with an automatic transmission. You get 283 horsepower along with 260 pound-feet of torque. This is a pretty efficient vehicle considering its size and power. The new 2019 version comes with a third-row entertainment system that hasn’t been included in previous models. Leather upholstery throughout the vehicle is a luxury for a minivan. The great thing about the Grand Caravan is the ability to easily stow your seats if you need more room. This feature has slightly been improved upon this year to make the process even simpler than it was before. If you are looking for all of the best safety technology and features that are part of the vehicle market right now, you will want to take a closer look at the SXT trim level. The exterior of the Grand Caravan has remained the same this year. This is the exterior styling package that has been around since the 2011 manufacture year. The simple design of this vehicle is what makes it so popular. You’ll have no trouble handling the road in all types of weather conditions. Seventeen-inch wheels are the standard option and this is more than enough for any road terrain. Visibility is great inside the Grand Caravan. It is actually one of the easiest minivans on the market when it comes to ease of use. Plenty of upgrades are available, but the various trim levels come well-equipped. You may find everything that you are looking for in the package that you choose. Over the years you will see a lot of changes that were made to the Dodge Grand Caravan. The recent models have remained pretty similar. There hasn’t been a lot that needed to get done in order to keep this vehicle a fan favorite. You’ll love the quiet cabin, ample head space, ample leg room, and fantastic cargo space. If you are in the market for a new vehicle, we ask that you stop down to White’s Energy Motors to take a look at our large inventory of vehicles. 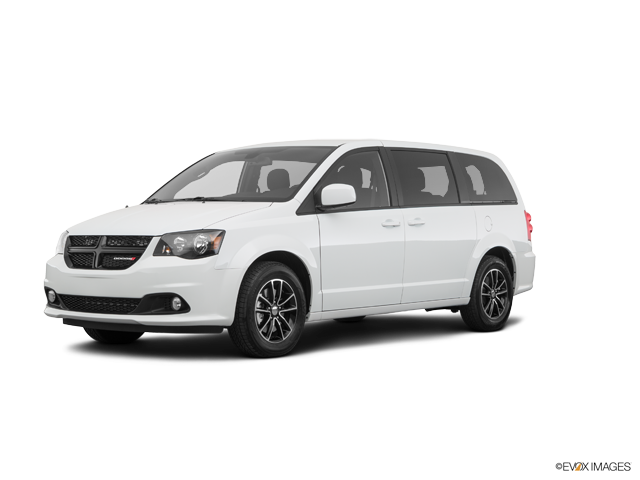 We have a number of Dodge Grand Caravans on our lot right now, and we can get you behind the wheel of one of these vehicles so you can test it out for yourself. We know this is a vehicle that you are going to fall in love with!